As a kid in the '90s, my main sources of entertainment were books and audio drama. In my early years, Adventures in Odyssey, Moody's The Bookshelf, and Children's Bible Hour were pretty much the only audio dramas I had access to. However, there was one other program that was a part of that group, Patch the Pirate. The series revolves around Patch the Pirate (Ron Hamilton) and his crew. Described as "preaching pirates," there's no killing, plundering, and the other negative attributes of real pirates. The only real attributes they share with them is the ship Patch and his crew sail on is called the Jolly Roger, some carry swords, and there are occasional treasure hunts. 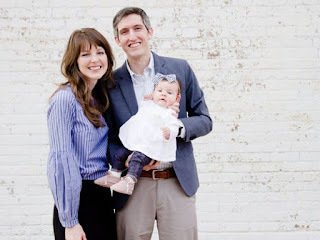 Basically, Patch and his crew travel to different locations such as Kilimanjaro, medieval kingdoms, even space, to help others with their problems while spreading the gospel of Jesus Christ. Each Patch the Pirate album is a mix of story and songs. The series could be described as a musical cartoon for radio. Many of the situations and characters are not really grounded in reality. For example, Patch's sidekick is a talking seagull called Sissy (played by Ron Hamilton's wife Shelly). The Patch productions are aimed at younger kids with the stories being fairly simple. Songs are intertwined with the story with different characters singing them. There are some jokes that parents listening may get that their children won't. The style of music found in all the Patch albums is something I don't think anybody from any denomination or background would disapprove of. In short, it is fun for the whole family. 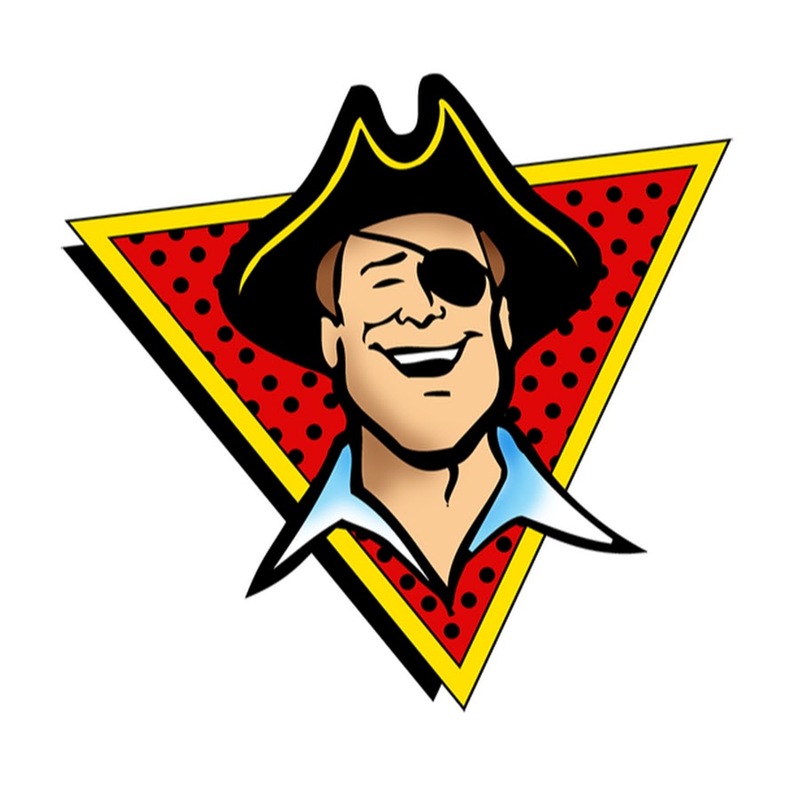 Since the very first album Sing Along with Patch the Pirate came out in 1981, there has been at least one Patch adventure released every year. Today, I am reviewing the latest album in the series that came out in 2018, The Incredible Race. 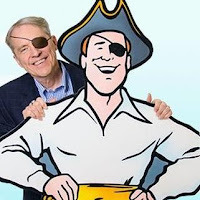 After hearing the news that Ron Hamilton had dementia and that the character of Patch the Pirate was going to be retired, I was quite saddened. I entered into listening to this album with a melancholy feeling. However, I was excited to hear it as well because of old characters returning. Although some old characters return, not all of their original voice actors did. If I'm not mistaken, the actors for Vanity, Captain Fiendly, Moccasin, and Banana Man are all new. To be fair, those characters are from some of the oldest Patch the Pirate productions so getting everyone back together may not have been feasible. That's not to say that the replacement voices don't do a great job; they do! It's just that some "eagle-eyed ears" that have heard the originals several times may have a little hard time getting used to the changes. The story for this album was written by Adam Morgan, Ron Hamilton's son-in-law. It was an absolute joy to listen to old and newer characters interacting and revisiting the settings of past adventures. With as many characters as are in this production, all of them are balanced quite well with no one person being minimalized: a hard feat to accomplish! There are several callbacks to past Patch adventures; some subtle, some overt. However, there are a few plot holes. For example, there are certain villains that one of Patch's crew acted as though they had met before, but they never had. Another example is that the true outcome of a previous race that Patch had entered in the past was totally mischaracterized. However, most kids probably won't notice these kinds of details. There is a good amount of humor scattered throughout this show, including puns, wordplay, and some self-aware humor. Misunderstandings of words i.e. some thinking the word "yacht" is a sneeze and others saying "Bless you!" when someone says it. There's also a few gentle jabs at some of the tropes in the Patch the Pirate universe. Each Patch adventure is based around a different theme or lesson. The overarching theme in this one is Biblical worldview. Certain songs and scenes highlight the effects of humanism and contrasting that with what the Bible says. It's presented on a level that young kids can easily understand. In the case of some children's audio dramas, there is a fair amount of characters saying what is happening rather than letting a narrator or the sound effects do the work. Most Patch the Pirate shows have this to a certain extent, but it is not usually a big distraction. 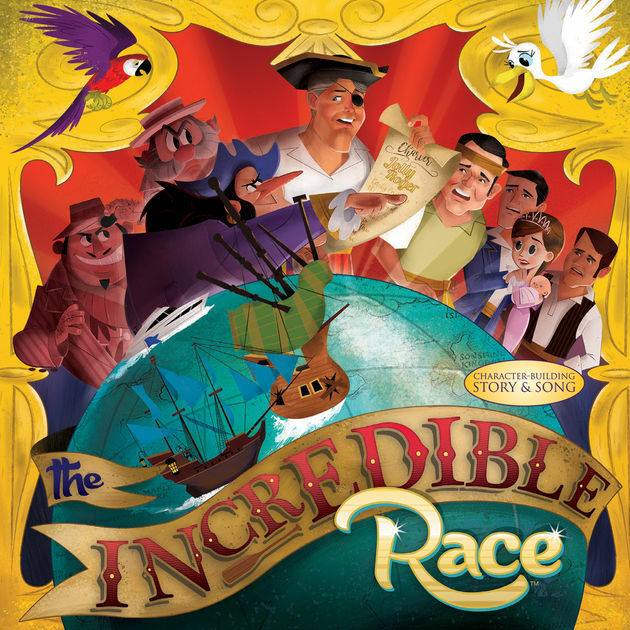 The Incredible Race had a little of that, but not as much as some past productions. The running time for this album clocks in at just over an hour. Even so, it seems to fly by. Though it may not be the case, it seemed to me that there was more time devoted to the story in between the songs than in previous albums. Even though I enjoy the songs, I was glad to have more of the focus on the story because of the magnitude of this story compared to past ones. With such a large cast, it would be difficult to mention everyone, but I wanted to highlight a few standout roles. Wise Guy played by Alan Morgan does a wonderful job playing this comedic villain. He was a standout character in a recent Patch production (Ocean Commotion) and he is here as well. The repartee with his sidekick Scarlet Macaw (played by Steven Warren) is really fun as well. Precious Pirate (Chloe Farrell) is a wonderful, sweet presence bringing a lot of warmth and charm to the crew. Bootstrap Ben (Ben Farrell) fits his role as First Mate well and absolutely shines with his solo in the song "Only One". The sound effects are good and plentiful. It doesn't have the soundscape that AIO or Heirloom Audio has, but I don't think it's needed. Again, the show is like a cartoon in that respect. The acting and music are more than enough to hold anybody's attention, including adults. I believe this is the first Patch the Pirate adventure that does not completely wrap up all the plot points by the end of the show. The production ends on a cliffhanger; one last song, and then some teasers on what will happen on the next adventure. Overall, this production is a wonderful letter of love to the fans of Patch the Pirate who have listened over the years. I wouldn't recommend this production to someone brand new to the series, but if you've heard at least a few of the past Patch the Pirate albums, it's a fun ride. If you've been a long time listener, you'll have a blast! The production values are great with a wonderful score, songs, and memorable performances. It may not be the best Patch the Pirate adventure, but it's certainly one of the most fun! I cannot wait to hear what happens next! This will give you a better understanding of some of the main characters and the returning villains in this album. Plus, all of those albums are really great productions as well!